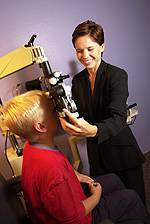 Eye exams for children are extremely important. Experts say 5 to 10% of pre-schoolers and 25% of school-aged children have vision problems. For school-aged children in Chicago, the AOA recommends an eye exam every two years if no vision correction is required. 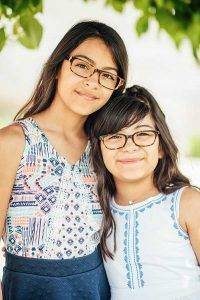 Children who need eyeglasses or contact lenses should be examined annually or according to their eye doctor's recommendations. Your family doctor or pediatrician likely will be the first medical professional in Chicago to examine your child's eyes. If eye problems are suspected during routine physical examinations, a referral might be made to an ophthalmologist or optometrist for further evaluation. Eye doctors have specific equipment and training to help them detect and diagnose potential vision problems. Experts say that 80% of what your child learns in school is presented visually. Undetected vision problems can put them at a significant disadvantage.